Earlier this week, Canadian smartphone maker Blackberry Ltd (NASDAQ:BBRY) announced a new partnership with Google Inc (NASDAQ:GOOGL, NASDAQ:GOOG) to provide security software for future Android devices that utilize the app management system Android for Work. The partnership is similar to one BlackBerry inked last November with Samsung Elec Ltd (OTCMKTS:SSNLF), wherein BES12 — BBRY’s latest enterprise mobility management, or EMM, solution — is being made available to enterprise customers using Samsung Galaxy devices embedded with KNOX, Samsung’s own business-oriented security workspace. If you’re not an IT geek, or if you don’t have a job handling top secret corporate documents, you may not have heard of Android for Work, KNOX, or BES12. To put it very simply, they’re platforms that establish protected environments allowing employees to access sensitive data via smartphones and tablets. These platforms utilize a variety of methods to ensure security, and considering this week’s announcement of BBRY’s partnership with GOOG, some Android devices will be getting a hefty security upgrade. What Does This Mean for BlackBerry Stock? Following the announcement, BlackBerry stock jumped slightly more than 2% to finish the day at $10.76. Now, 2% may not sound impressive, but for a company that’s been struggling to remain relevant in the mobile industry, any uptick is reason to celebrate. Shares of BBRY are down a whopping 85% in the past five years. As consumers ditched BBRY handsets for Androids and iPhones, BlackBerry’s smartphone market share has dropped to near insignificant levels. According to comScore, BBRY is dangling by a 2.3% market share in the U.S., and IDC reports that BBRY has a mere 0.5% of the worldwide smartphone market share. BBRY recently released its fiscal 2015 third-quarter earnings, and the report was anything but inspiring. 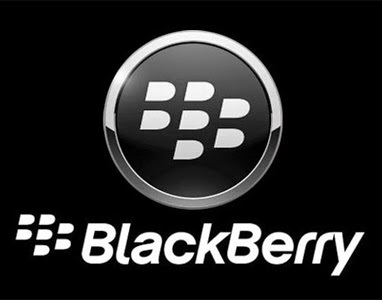 Revenue fell more than 33% to $793 million with a net loss of $148 million for the quarter, or -28 cents per share, which is a continuation of the downward trend that has been plaguing BlackBerry stock for more than four years. The company sold a mere 1.9 million smartphones during the quarter, or 55.8% fewer than the 4.3 million sold in the year-ago quarter. To put this into perspective, Apple Inc. (NASDAQ:AAPL) sold 39 times as many iPhones in its most recent quarter (more than BBRY has sold in the past three years combined). BlackBerry devices are quickly approaching the point of extinction, and AT&T Inc. (NYSE:T) is now the only major U.S. wireless carrier that sells new BBRY models. Diehard BBRY loyalists aside, most of the smartphone world doesn’t even see BlackBerry on the radar. However, the company does excel in certain aspects of mobile technology, namely security and data protection. This was the main reason the Department of Defense, as well as several other government agencies, chose BBRY devices over iPhones and Androids. But, even Uncle Sam’s endorsement couldn’t sway the public enough to prevent BlackBerry stock from tanking. The move would make sense, given the current partnerships with Samsung and Google, and could secure BBRY’s place in the mobile arena. Further, BlackBerry’s expertise could be a key weapon for Google and Samsung in the recently-begun battle for mobile security supremacy against Apple and International Business Machines Corp. (NYSE:IBM). It’s virtually impossible that BBRY smartphones will ever regain their former prestige and popularity with the masses, regardless of how well-designed or secure they might be. The time has come for management to cut its losses and instead capitalize on mobile security software. BBRY has a solid reputation around the world when it comes to protecting sensitive smartphone data, and that reputation could possibly serve to catapult BlackBerry stock if management successfully leverages its new partnerships with Samsung and Google. I expect BlackBerry stock to hold steady around $10 per share — until the next iteration of Android is released containing cutting-edge privacy protection and data security measures, compliments of BBRY. When that happens, investors should be handsomely rewarded.